When will be Codswallop next episode air date? Is Codswallop renewed or cancelled? Where to countdown Codswallop air dates? Is Codswallop worth watching? 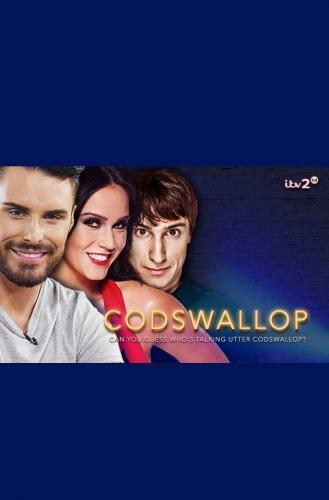 Codswallop is a comedy panel show for ITV2. Rylan Clark-Neal presides over the Codswallop Club - an institution devoted to the art of bluffing.Team captains Tom Rosenthal & Vicky Pattison along with celebrity guests compete in a series of hilarious games and challenges to see who is the best at convincing their opponents they're telling the truth when in fact they're talking utter Codswallop! Codswallop next episode air date provides TVMaze for you. EpisoDate.com is your TV show guide to Countdown Codswallop Episode Air Dates and to stay in touch with Codswallop next episode Air Date and your others favorite TV Shows. Add the shows you like to a "Watchlist" and let the site take it from there.